Making a scathing attack on the BJP, Union Minister for Industry, Commerce and Textiles Anand Sharma termed BJP national president Nitin Gadkari as a corrupt businessman. 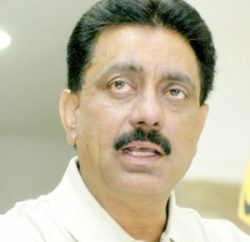 While talking to mediapersons’ at Dharamsala, Congress top leader said the BJP should seek Gadkari’s resignation before leveling any such allegations against other party. He also challenged Prem Kumar Dhumal to an open debate over the alleged discrimination by the Centre against Himachal Pradesh. 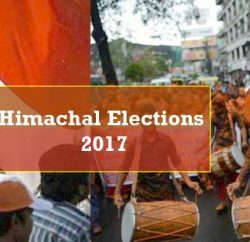 He claimed that the Chief Minister was misleading the people of the state by alleging discrimination against Himachal Pradesh. He said popular schemes of the state government, including the 108 ambulance scheme and the free school uniform scheme, have been financed by the Centre. He added that the state government had just changed the names of the schemes and claimed those to be its own. Sharma also alleged that senior BJP leader LK Advani issued a misleading statement yesterday that the industrial package given to Himachal Pradesh had been withdrawn by the Centre. He clarified that the Centre had withdrawn only one component of the scheme, which was central sales tax. The rest of the privileges given to the state under the industrial package, including rebate on income tax and capital subsidy in projects coming here, was being continued, he added. These packages would come up for review before the Centre in October 2013, he pointed out. He also alleged that the BJP had hit the interests of horticulturists in the state by not allowing foreign direct investment (FDI) in multi-brand retail in Himachal Pradesh. Investment in FDI could have increased the income of farmers and created new job avenues for the unemployed youth, he asserted. Sharma targeted the Himachal Pradesh Cricket Association (HPCA), headed by Anurag Thakur, Hamirpur MP and the Chief Minister’s son. He alleged that land had been given free of cost in another state for the construction of a hotel of the HPCA. If voted to power, the Congress would set up a judicial commission to probe acts of omission and commission of the present state government.